← What’s Really Out There in the Dark? It’s a fascinating scientific process. Bodies are studied out in the open, buried in debris and brush, inside small structures, inside cars, and various other conditions. This can help to facilitate investigations in order to locate and capture the perpetrator. The more forensic professionals know about human decomposition, the more cases that can be solved in the process. For example, the body begins to lose heat from the average core temperature of 98.6 degrees F. It falls to the surrounding environment, indoors or outdoors. As a general rule under normal conditions, the body will lose approximately 1.5 degrees every hour after death. The original “body farm” is the University of Tennessee Anthropological Research Facility. In 1971, Anthropologist Dr. William M. Bass was the official state anthropologist for Tennessee and consulted on many cases involving human remains. It consists of a 2 ½ acre wooded plot surrounded by razor wire fences. At any time, there are number of bodies placed in different settings left to decompose, varying conditions and environments. Bodies are obtained from various sources from unclaimed bodies from the morgue to individuals who have voluntarily donated their bodies for research. Approximately, 120 bodies are donated to the facility every year. This facility is part of the Western Carolina Human Identification Laboratory. 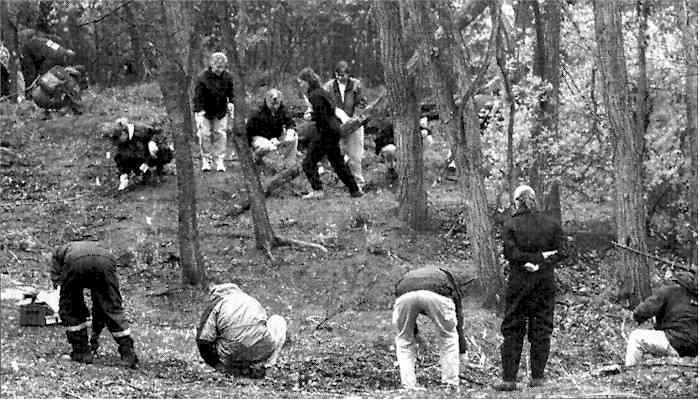 The research “body farm” area is the size of a garage and can accommodate approximately six bodies at a time. In addition, they also train cadaver dogs at this facility. This is a remote facility located 45 miles southeast of the city of Pittsburgh. It has access to over 200 acres generously donated. This facility also conducts crime scene investigation training and other related activates. This is a state-of-the-art research and training facility designed to advance academic and technical knowledge in the application of forensic science disciplines to crime scenes. Bodies are willed and donated. This facility is a 247 acre of land that is adjacent to the Sam Houston National Forest. It is a contained outdoor facility with a variety of environmental conditions, including fluvial environment. Webcams are located at various locations of the outdoor facility to monitor timing of post-mortem activities on and off campus. The Forensic Anthropology Center at Texas State is a human decomposition research laboratory where questions related to outdoor crime scenes and decomposition rates are investigated. Most of the facility is around 7 acres, but the Freeman working ranch as approximately 4,200 acres available for research practices. They accept body donations. The overall research is to assist law enforcement and the medico-legal community in their investigations. This entry was posted in Forensic and tagged body farm, chain of events of a crime, crime, crime scene investigation, crime thriller, dark mind, decomposing body, decomposition process, emily stone series, forensics, how to write a novel, jennifer chase author, writing research. Bookmark the permalink. Unfortunately our violent society makes it all but certain that there is a lot of demand for this knowledge. That being said, people do research the damnedest things! I’d heard about body farms for the first time watching “Bones” on tv. I wondered if there really was such a thing, but didn’t look it up. Is it strange that the first thing I noticed reading this very interesting article was that 4 of the 5 body farms are in the south? It is interesting that most are in the south — I was curious why one of the California Universities don’t have one. Thanks for stopping by! I learned about The Body Farm (in Knoxville) when reading Fate Magazine quite a few years ago. Thanks for the article. I’ve been telling people this is where I want to go ever since. 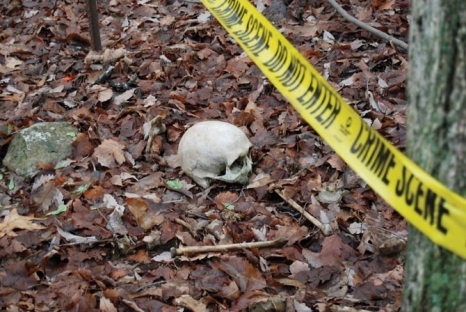 Did you actually get to tour the body farm? How do you go about getting permissions? I’m so interested and intrigued. Fascinating! I’ve read every one of the Body Farm books by Jefferson Bass and not only enjoyed them thoroughly but have learned a lot along the way.